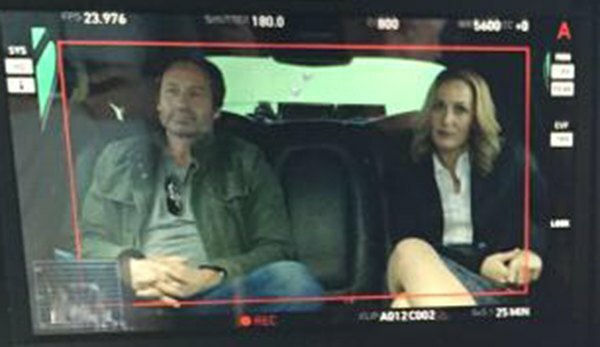 Today, Fox News tweeted a set image from The X-Files, set to air in February 2016, that shows Mulder & Scully in a vehicle in front of a green screen. David Duchovny and Gillian Anderson appear fairly well-suited for their roles, albeit "chill." But where is Scully's red bob? Several key cast members will also be returning, such as Mitch Pileggi as Walter Skinner, and William B. Davis as the Cigarette-Smoking Man.